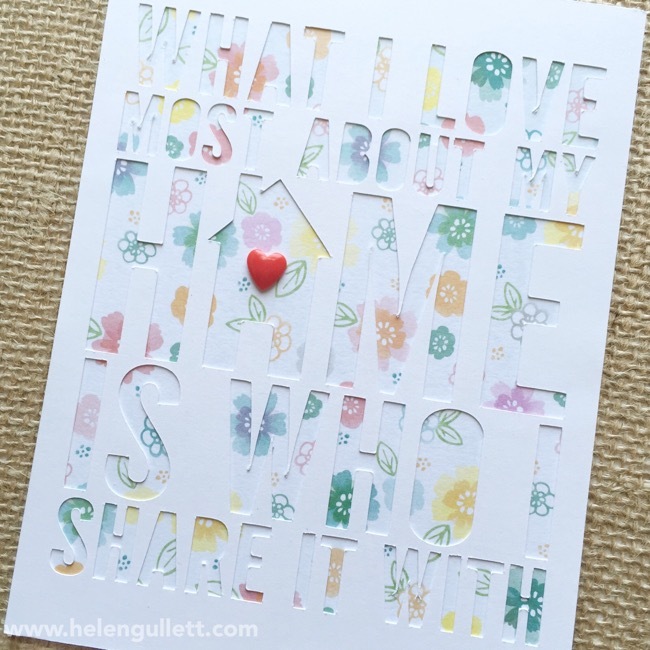 Today I am sharing my project I created for this week Die Cut Challenge: Home Sweet Home at Stuck On U Sketches Blog. This card I created using my Silhouette Cameo and the phrase is from Lori Whitlock design. First I drew a rectangle with size 4.25 inch x 5.5 inch. Then I opened the phrase and resized it to fit inside the rectangle. I finish the card with the Red Enamel Heart from Close To My Heart. You still have time to play along with us this week. Please go HERE to link up your project. Have a fun crafting day! 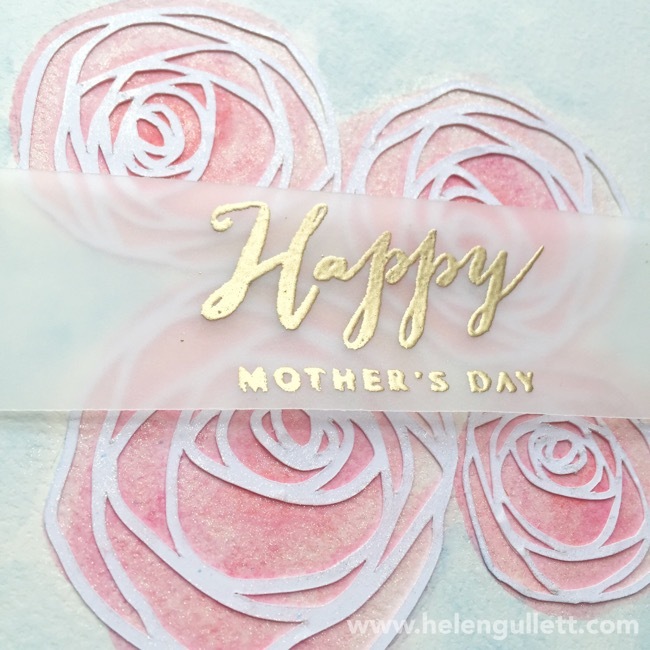 This week we are celebrating Moms over Stuck On U Sketches challenge blog! Today, I’d love to share with you a project I created for their new Die Cut Challenge this week. The theme is “Mom”, create any projects using diecuts and with the theme. 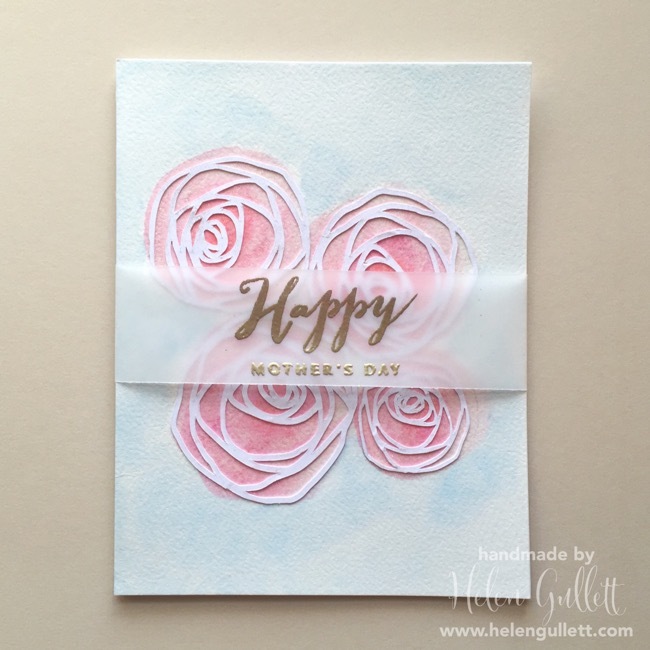 This time I made a watercolored card with Rose die cuts on it. I cut the Rose Lace Flourish out of White Daisy Cardstock with my Silhouette Cameo. First, I rezied them in 3 sizes and the cut them. After I cut the flowers, I trimmed the leaves off. Then I trace the flowers on a piece of watercolor paper. I started coloring inside the rose circles using Watercolor pencils and blended the colors using aqua brush, then I decided to add some light blue. I am not patient enough to let the paper dries so I used my Craft Heater to speed it up. Once the paper was dry completely, I added the die cut roses using Tombow mono liquid glue using the fine tip. While waiting for the glitter to completely dry, on a strip of vellum, I stamped the sentiment from Happy To Be Friends stamp set with VersaMark Ink Pad, added some Ranger Princess Gold Embossing powder and heat set it using Craft Heater. Using a adhesive runner I added the vellum paper on the watercolor paper, and then added them on the card base.